I’ve been known to use my prowess in the kitchen to fix any number of ailments: from sweet beets that have helped to mend my broken heart to hourglass pears that have eased my melancholy about summer’s descent into fall, I find cooking and eating to be as accomplished at soothing my worries as it is at celebrating my triumphs. Of course, and rather obviously, food also nourishes our bodies. 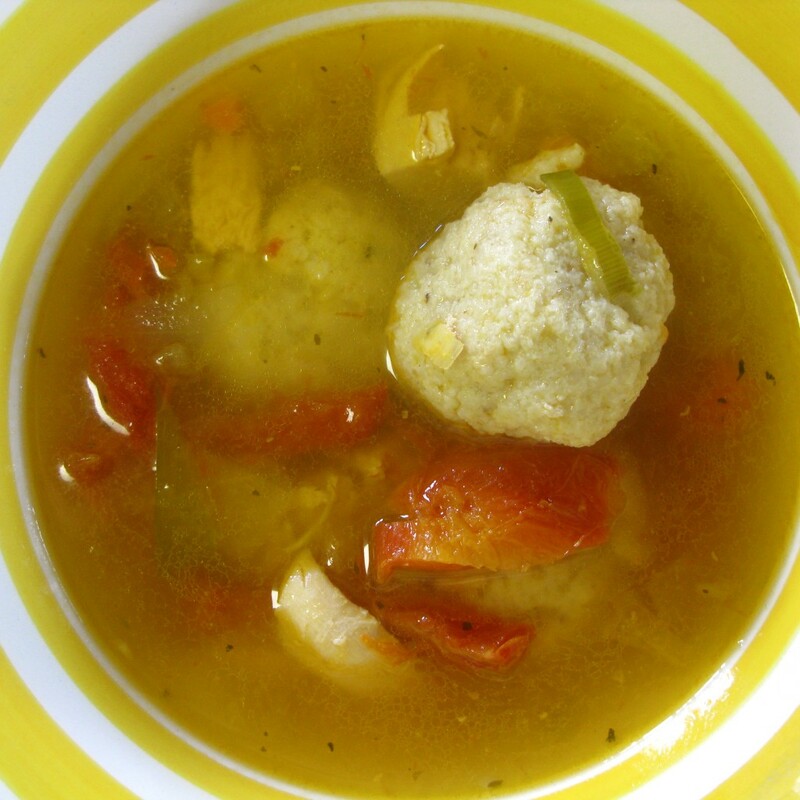 Perhaps the most ubiquitous of the healing foods is chicken soup, and if you have Jewish heritage like I do, then you know from chicken soup (and you know that in a Jewish home, the chicken bit translates into matzo balls). When I made an emergency trip to the Buff last month to visit my ailing Mamma, the first thing I did was get to work in the kitchen. Homemade chicken stock, made with tons of nutritious veggies and locally raised, organic chicken, is just about the most perfect food to feed someone who is sick and lost her appetite. To this velvety broth I added matzo balls – dumplings made from matzo meal, fresh herbs, a healthy pinch of salt, and rendered chicken fat, or schmaltz. This last ingredient is key to nailing the taste and texture for these light-as-air dumplings that can quickly turn too dense if you use another fat, and besides, schmaltz offers real deal authenticity and comes free with every pot of stock you make! Just skim the fat off the top of your stockpot and reserve it to roll into balls. A good tip for collecting the fat is to allow your pot of stock to come to room temp (I usually put mine in the fridge for a few hours to hasten this process), and the fat will rise to the top and harden, making it easy to skim. Then follow basic matzo meal directions for mixing and rolling your balls, and use the schmaltz in place of any other fat or oil they may mention. This is how my Mamma taught me how to make matzo balls and her Mamma before. Of course, you’re not limited to package directions, but they form a good base from which to flavor your balls. Let’s face it – like a lot of Jewish fare, matzo balls are bland. To season your balls and bring a bit of BAM! to the bowl, skip Emeril’s herbs and work with fresh, whole foods and flavors. Lately, I’ve found myself drawn to an indulgent and decidedly unkosher mix of grated parmesan cheese, sage leaves, truffle salt and chopped shitake mushrooms in my matzo meal. I’ll drizzle a dash of truffle oil atop my soup bowl and settle into a meal that feels as earthy as fall. But just a few months back, I was celebrating the summer season, and adding fresh dill, garden tomatoes, sweet basil and corn cut straight from the cob into my blend. The possibilities are endless, so have fun concocting a bowl of croon worthy tastes you crave. Chicken soup fortified with loads of veg and lots of homemade matzo balls brings with it the healing powers of all the best components of the real foods it’s made with. 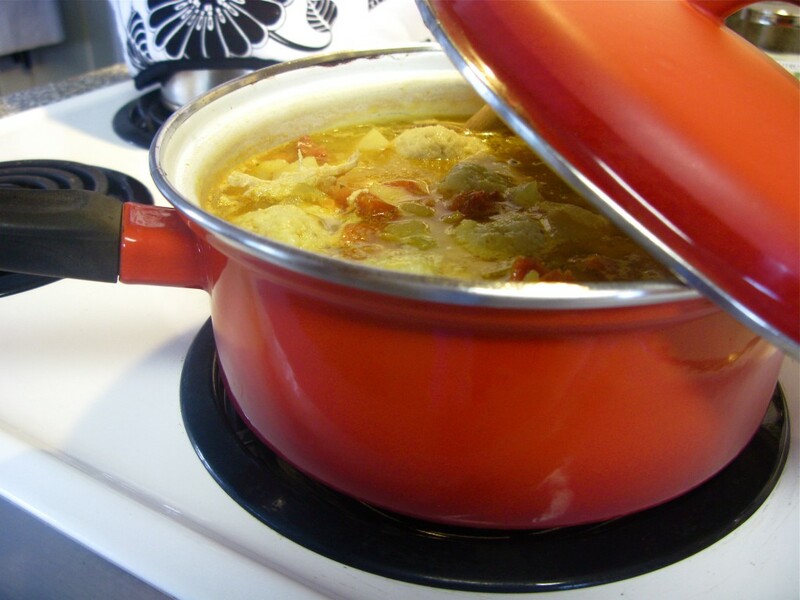 It’s easy to do, though it takes a good deal of time for the stock to reduce and develop flavor, so give yourself an entire afternoon and settle into soup for supper later that day. I promise that even the sickest person will manage to sip down a few warm gulps of broth and at least nibble on these nutritious dumplings. Watching my sick Mamma slowly sip a bowl of matzo ball soup, I knew I was doing good by coaxing her into eating something that would help her body fight whatever was plaguing her. It wasn’t until days later, back in New York and back behind the stove, while catering a wedding in a West Village townhouse, that we got the news, and the news wasn’t good: it’s cancer. Finding out my Mamma has cancer felt a bit like finding out the sky is falling. Nothing felt good, nothing felt fair, nothing, not even Mac, broke my heart so badly. 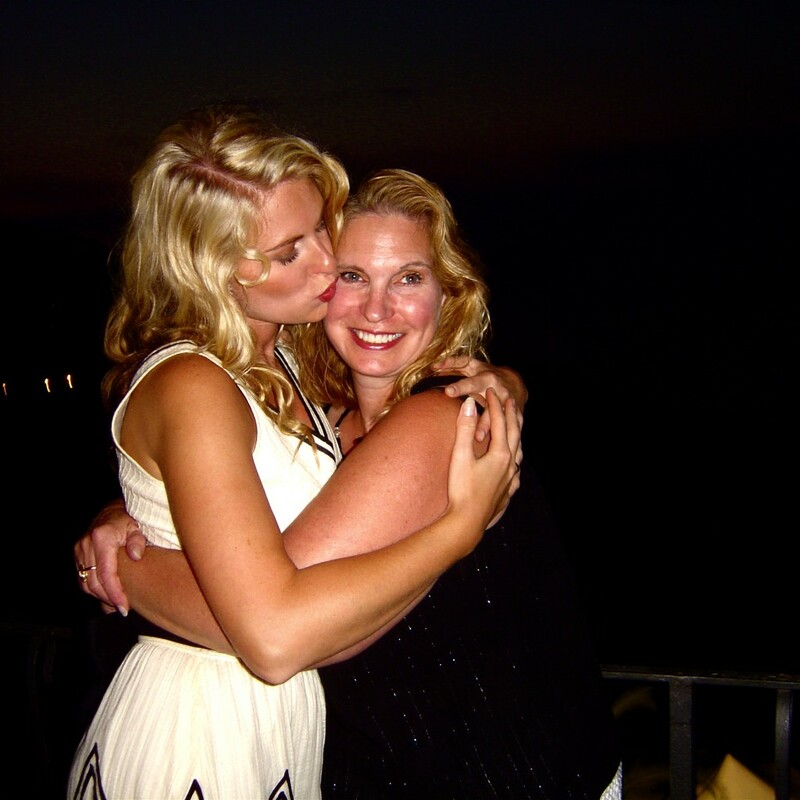 But Mamma’s strength and optimism have been an inspiration, and I know we will fight this thing. And beat it. Coping with the diagnosis and the seemingly debilitating fear it at first inspired, I immediately turned to the kitchen, but found myself unable to cook up anything that could possibly make me feel better. Stumped, I started thinking about my week with Mamma and the matzo ball soup that ties us to generations of cooks before, generations of women of our own blood who have been bakers, caterers, mothers, daughters, sisters and home cooks, all. Simmering meat and vegetables, rendering chicken fat to make schmaltz, rolling matzo balls enhanced with fresh herbs and spices, and tossing them into a bowl of bubbling broth, now seemed ritualistic and deeply important – beyond coaxing Mamma’s fickle appetite. That’s when I realized that reminiscing about our favorite family memories shared over stoves, around tables and with glasses raised (soup spoons at the ready! 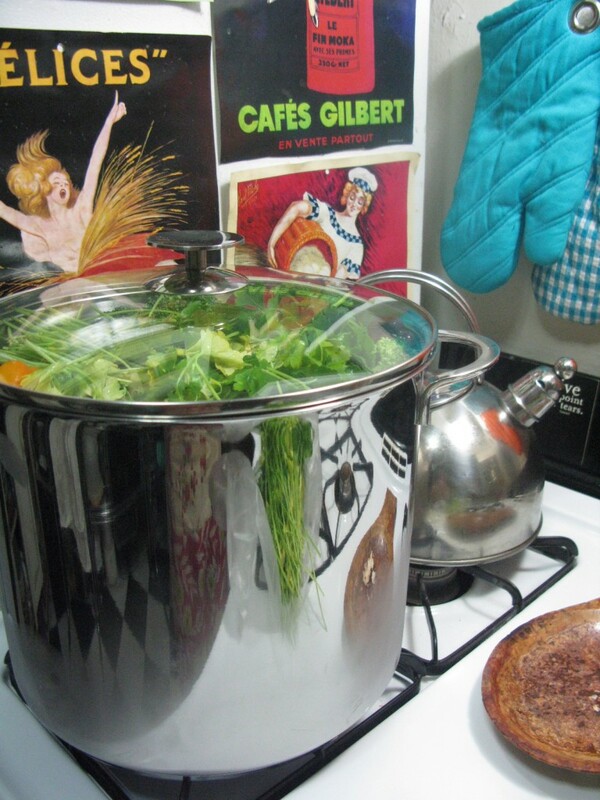 ), is just as important for our well being as the nutrients the soup itself has to offer. Cooking, ultimately, is about more than food and eating. It’s about sharing, and giving, and teaching, and rejoicing, and loving, and living. After all, there’s good reason why we call it chicken soup for the soul. Love you and you know where to find me if you need me.